and violet colored, star shaped flowers with protruding yellow stamens. Other common names for Silver-Leaf Nightshade are Prairie Berry, Silver-Leaf Nettle, and Satan’s Bush. 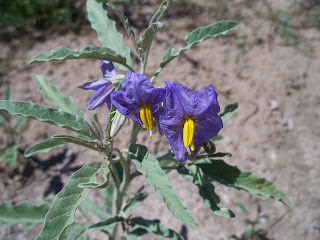 Silver-Leaf Nightshade flowers from late spring into fall and is native to the Southwestern United States and into Mexico. 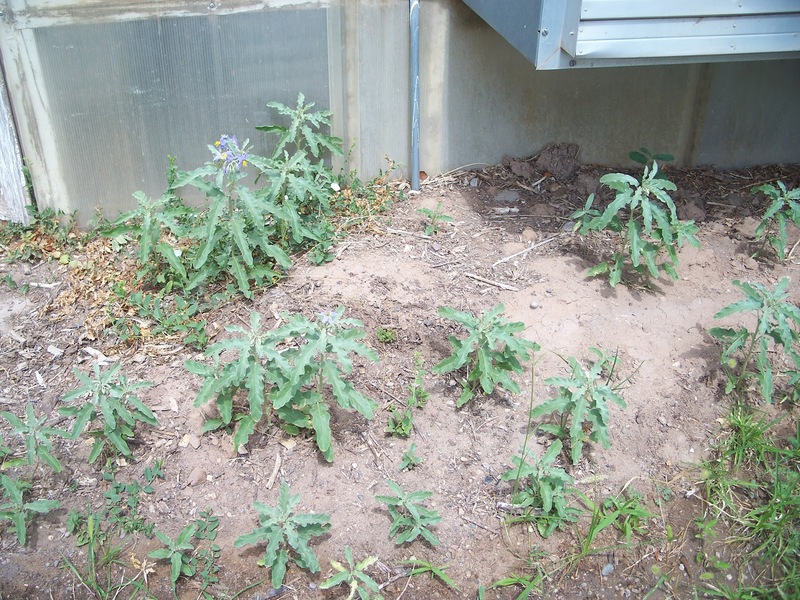 It is considered a noxious weed in many states. 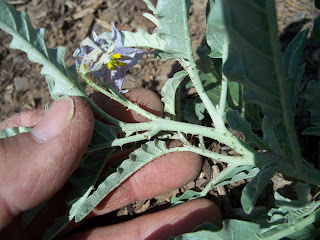 Silver-Leaf Nightshade is poisonous and toxic to livestock. Silver-Leaf Nightshade propagates from both rhizomes and seed found in berries. 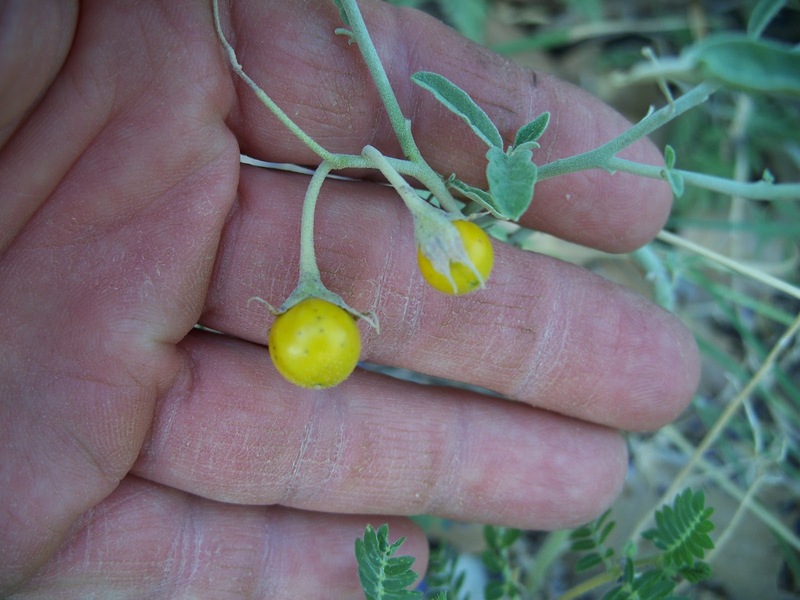 Green striped berries turn yellow or orange at maturity and then dry to brown. and can form colonies, which makes it difficult to eradicate. If you have time and patience, Silver-Leaf Nightshade can be eradicated simply by digging it out, either by hand or shovel. 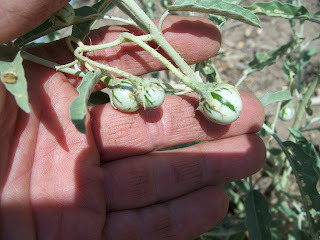 Silver-Leaf Nightshade has no spines on its roots so can be hand (glove) pulled. 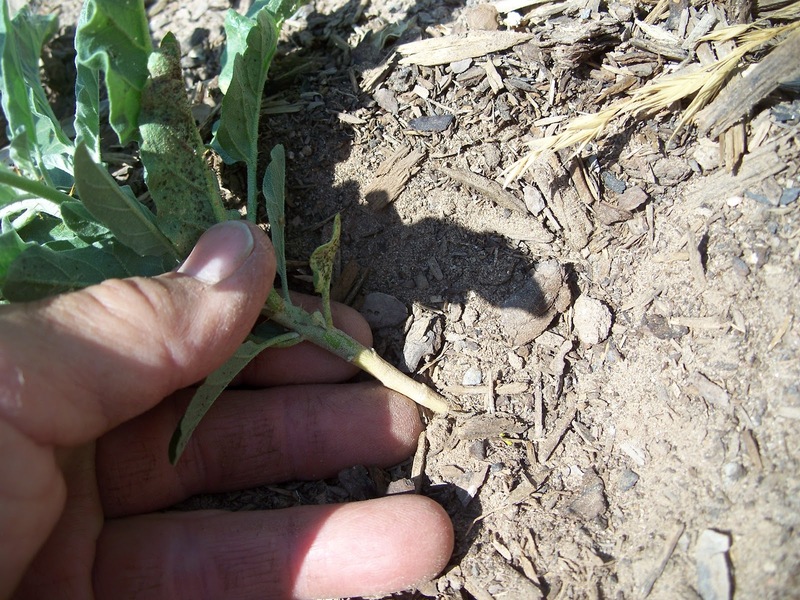 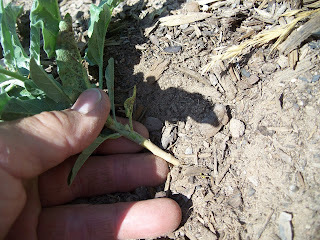 Follow and expose the stem down to below soil level, where it turns white. 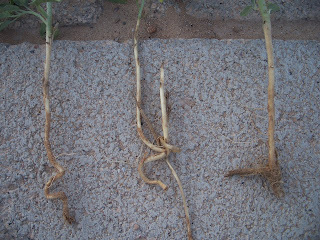 and pull out the deep root. Silver-Leaf Nightshade has a deep extensive root system, so digging it out will take multiple diggings as it regrows from broken rhizomes. 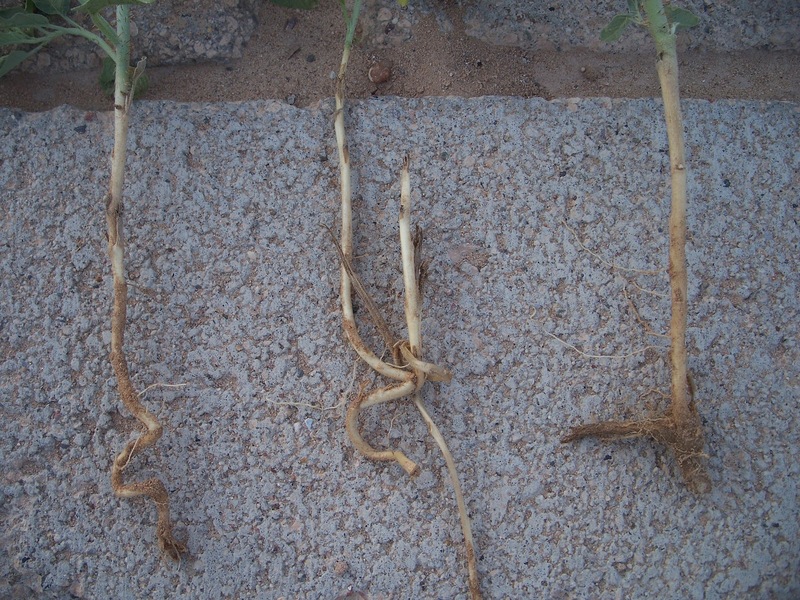 Eventually the root system will become exhausted from multiple attempts to regrow and the plant will die. 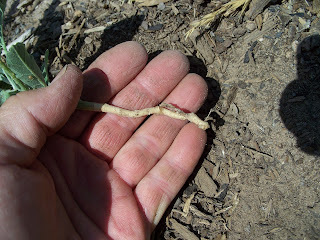 This method though tedious and time consuming uses no chemicals. The key to success with digging it out is to get it immediately after leaves emerge above ground so that plant cannot get new energy from photosynthesis. 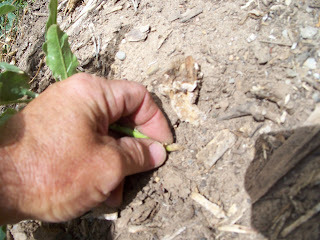 Contact Trees That Please Nursery for more information. 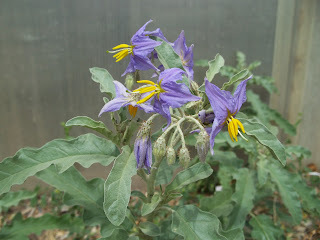 I've never heard of the name "Silver Leaf Nightshade". Everyone calls them "Horse Nettle" or "Bull Nettle".